The MK V speedpilot is the most expensive of the range. 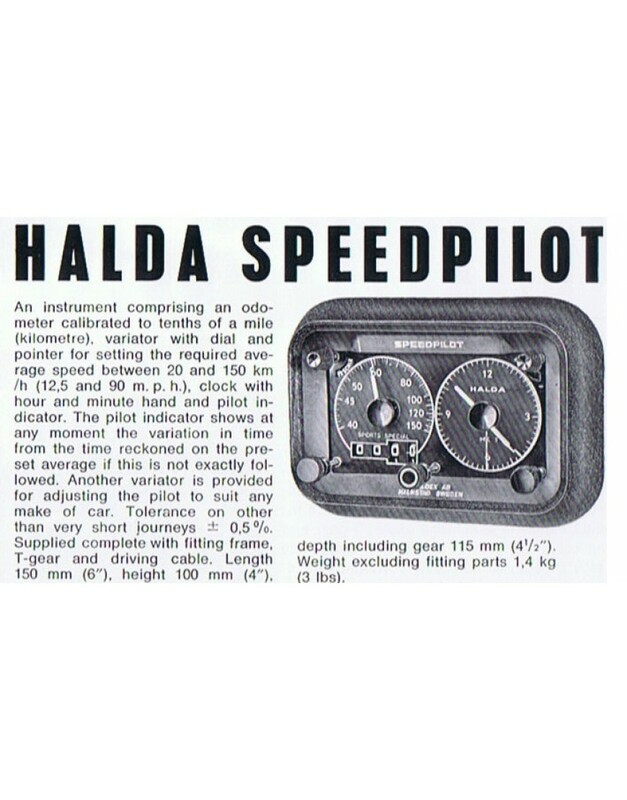 Over 20 different types of Halda speedpilots were produced, all with the same basic functions. 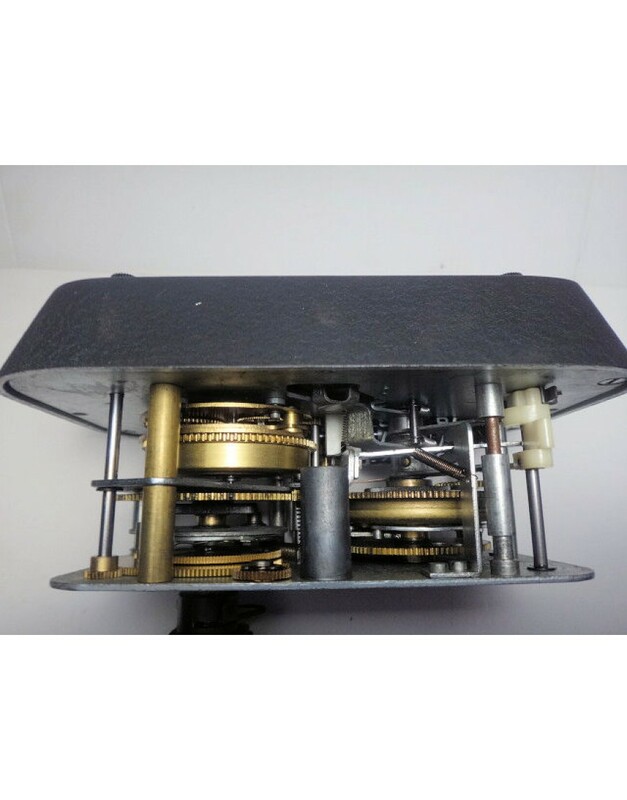 All instruments we sell are completely restored and work as they should work. Any instrument we sell or repair does a test of at least 300km or ml on our vibrating test bench! 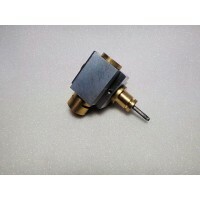 A Speedpilot only has value if the internal calibration and the calibration to the car is correct. It is not because hands and tripmeter moves that the instrument is good! When a Speedpilot has beeb dismatled and the hand on the average speed reset wrongly, has been even less than 1km/h, the calculation will never be correct! 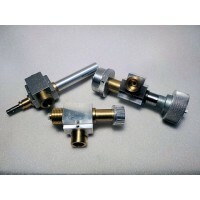 We also can restore/repair your Speedpilot but can only give a quote when we have tested the instrument. 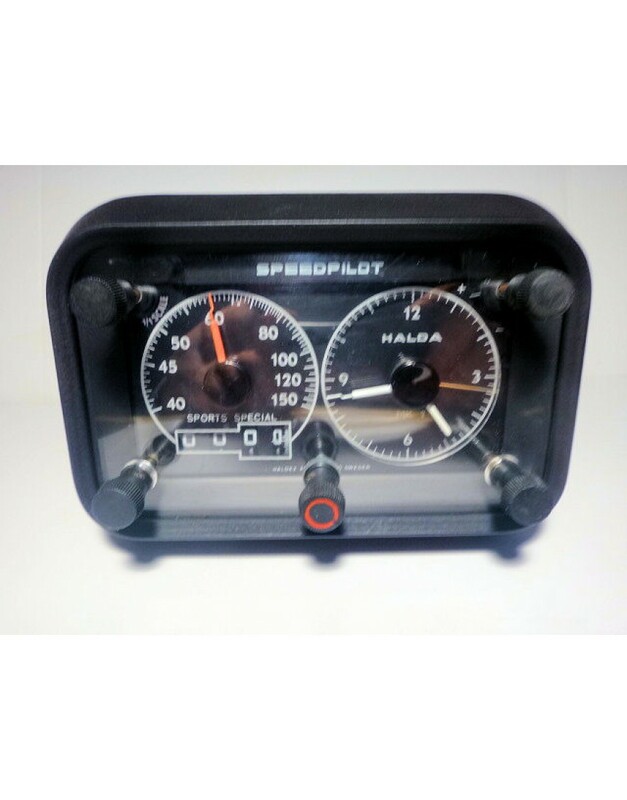 HALDA SPEED-PILOT is a mechanical brain that registers time, distance and speed and automatically converts these factors to information which the driver can read off at a glance. It is an entirely new instrument which at any time tells you your position, viz-how far you have come, how you are off for time and at what time you will arrive at your destination. 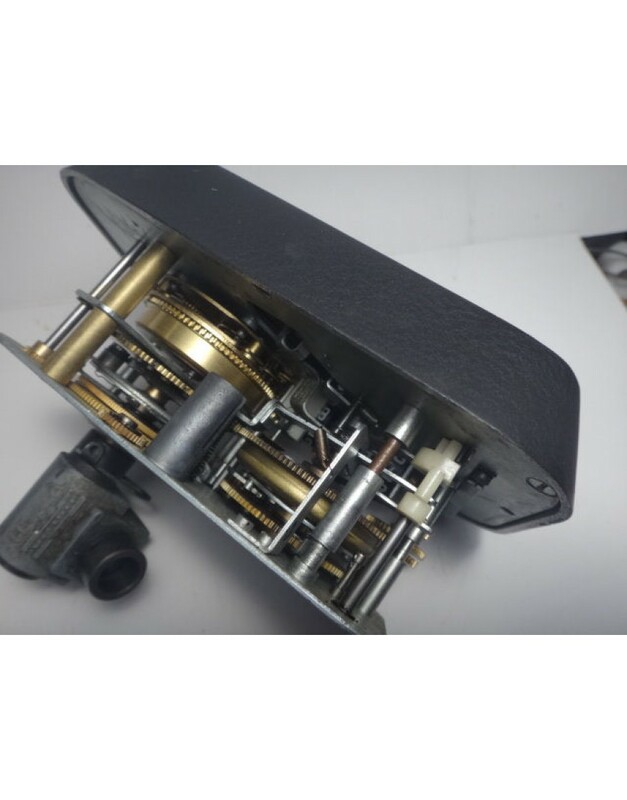 It comprises 4 units : an instrument for setting your average speed, a trip meter, a " Pilot " and a clock. this is Pilot driving: Use a few moments to plan your trip. Find out how far you are going and at what time you want to arrive. Suppose the distance is 108 miles. You find that you have say 3 hours and 10 minutes available. You would like 10 minutes in reserve and the journey may consequently take 3 hours. This gives an average speed of 36 miles per hour-very easily found with the aid of the simple Trip-Calculator. Now three simple operations remain. 1. Set your speed hand to the calculated average-in this case 36. 2. Set Trip Meter to Zero. 3. Set the Pilot hand directly under the minute hand of the clock immediately before starting. Now you can drive in a calm easy mood and in greater safety because now you are Pilot driving. Glance at your Speed Pilot from time to time-so long as the Pilot hand synchronises with your minute hand you w,ill arrive at your destination in 3 hours to the minute. Should the hands separate you will be as many minutes before or behind your schedule as the Pilot hand is before or behind your minute hand. You know your position and how far you have come-all the time and driving becomes really interesting.